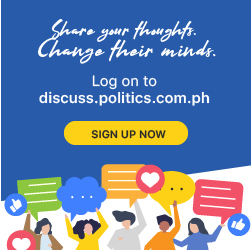 House Speaker Gloria Macapagal Arroyo on Friday categorically denied she had any hand in the last-minute changes made by the House to the 2019 budget, which is causing delay in its passage into law. The former President said it was not up to her to “set the record straight” on the budget, as other House leaders had already been explaining the House’s position on the General Appropriations Bill. “I think (Congressmen) Fred Castro and Nonoy Andaya and Edcel Lagman have already been setting the record straight,” she said. “They were the ones who worked on the budget not me and they have been setting the record straight,” she said. “They are more accurate in setting the record straight than me,” Arroyo said. The Speaker earlier ordered the creation of a three-man House team composed of Andaya, chairman of the House committee on appropriations, Lagman, and San Juan Rep. Ronaldo Zamora, to discuss the issue with the Senate.